IT Services supports a number of technology initiatives, including the University's Internet and intranet presence, the University's email system, MYHSSU/eLearning and assorted other services. IT Services is also the primary provider for campus networking, computer software and hardware maintenance for University-owned computers. 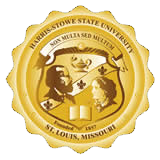 Help Desk services for faculty and staff may be requested by contacting us at (314) 340-3327 or emailing helpdesk@hssu.edu.